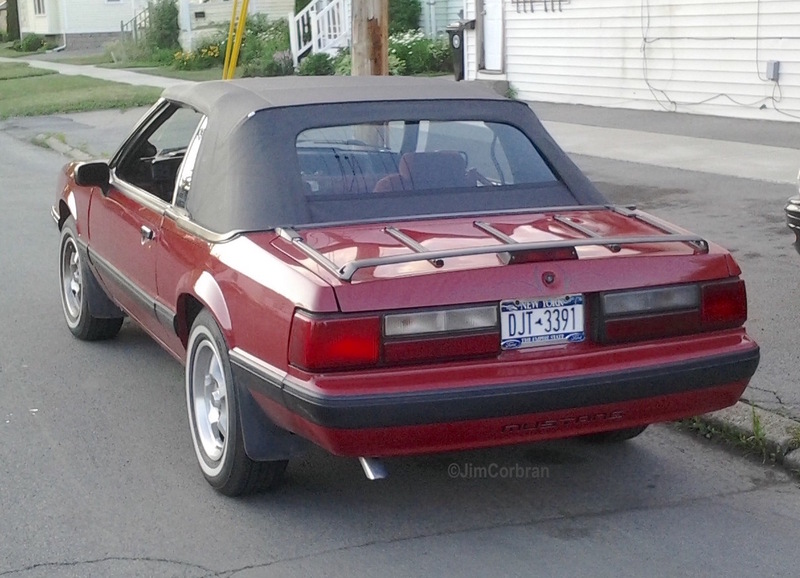 This 1988 Ford Mustang LX is from the third generation of the original pony car, which began with the 1979 models (successors to the Pinto-based Mustang II of 1974-78), and ended with the 1983 cars. In 1988 there were still three body styles to choose from, officially called 2-door sedan, convertible, and hatchback. The Mustangs of this era, IMO, looked best in the sedan and rag-top models — even with the top up (which can’t be said for a lot of convertibles on the road). Saw this one a couple of summers ago in Tonawanda. Got a RealRide you'd like to see featured here?